How do I hide myself from the schedule. How to remove owners and administrators from the schedule. 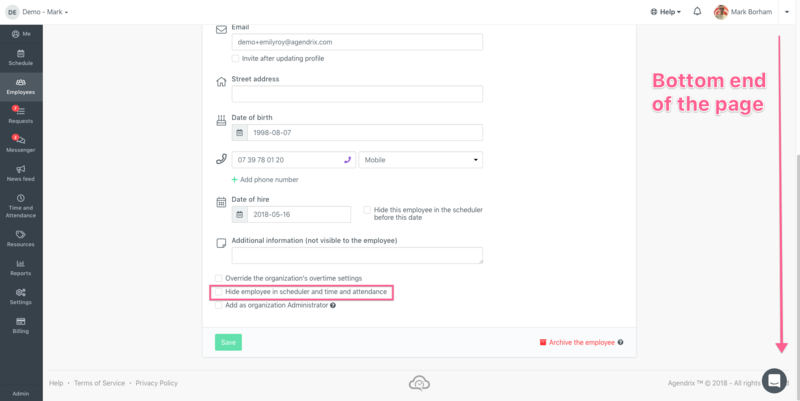 When an owner, administrator or managers does not require to be shown in the scheduler, it is possible to hide him.